Today, Lynn Melnick reads two poems from her debut collection If I Should Say I Have Hope, published by Yes Yes Books. 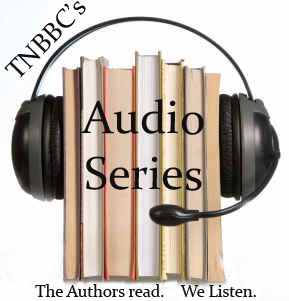 Click on the Soundcloud link to experience poems from If I Should Say I Have Hope as read by Lynn Melnick. 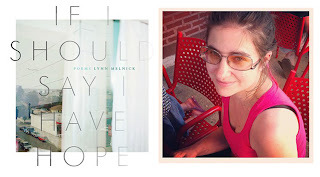 The title of Melnick’s stunning book is a microcosm of the poems within—the uncertainty of If I Should Say followed by the defiance of I Have Hope. Her poems follow moments of unmooredness ("I am best / when I dabble in consciousness and a soundly / spinning room") with blinding insight (“You wouldn’t know happy if it kissed you on the mouth”)—tiptoeing followed by a kick to the head. On the melancholy-go-round of these poems, there’s a swan-seat for sadness but also a tiger called Beauty and a horse called Hope. The unexpected music and syntax of Melnick’s work will make you want to ride/read it again and again.